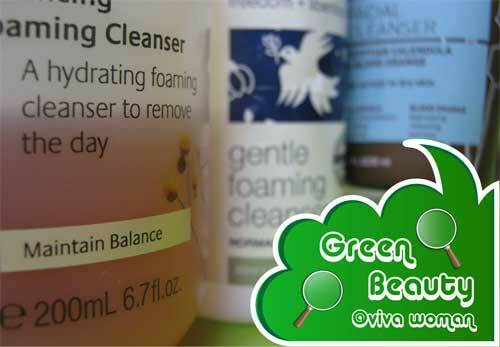 Okay, we’re going full speed on the VivaBella Green Beauty Box Giveaway now. In another week, I’ll be announcing all the products to be given and then we’ll have a week to call the finale before we close and then announce the 5 winners! If you haven’t been participating, let me just say you’re missing on over $2500 worth of green goodies from 12 generous sponsors. Today’s entry is on Living Nature, a range of 100% natural skin care range using New Zealand’s unique native botanicals such as Harakeke Flax Gel, Active Manuka Honey, and Kumerahou. Living Nature has been in the market for over 23 years and the brand is certified natural by BDIH Germany – a world-leading independent auditor of natural skincare and cosmetics. So all their products are made without endocrine disrupting synthetic preservatives such as parabens, ethelhexyglycerin. hydroxymethylglycinate, iodopropynyl butylcarbamate, methylchloroisothiazolinone, methylisothiazolinone, unigerm, suttocide, as well as no neurotoxic preservatives like phenoxyethanol. They also do not include harsh surfactants like sodium, ammonium and lauryl/laureth sulphates or petrochemicals, including PEGs, paraffin and other glycols, silicones, mineral oils, artificial fragrances, grain alcohols, phthalates, bisphenol-A (BPA) or GMO ingredients. Living Nature in Singapore is sold at 3 Simei Street 6 #03-18/19 East Point Mall. 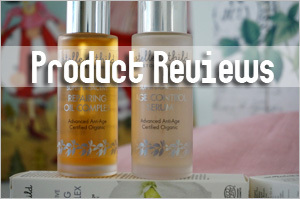 Besides retailing the products, the store also provides facial treatments, such as the Manuka Honey Facial and the Instant Face Brightening Facial Treatment that I reviewed not too long ago. Recently, they started offering a Women’s Wellness Breast Care Treatment using Living Nature’s products to eliminate the toxins stored in the fatty tissues in the breast via lymphatic drainage. If you want to win one of these packs consisting of a Living Nature Nourishing Hand & Body Cream and Balancing Day Lotion plus the other Green Beauty Box goodies, go explore their Facebook page and tell me which treatment you would like to try. If you have tried their treatments before, let us know what you like about them. 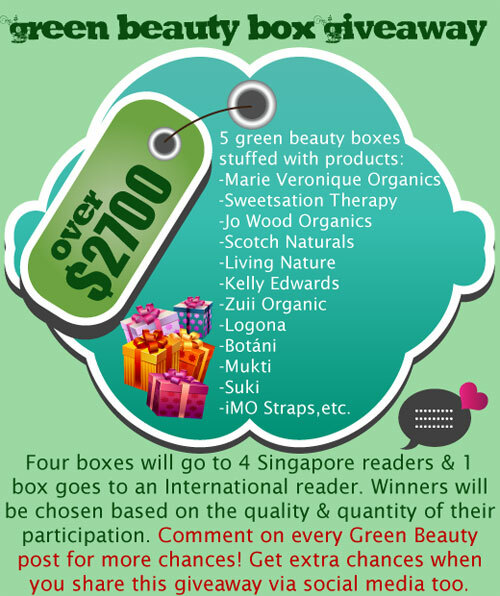 Visit Viva Woman Green Beauty to participate. Just 1 thing I’d like to try? Hmm…definitely the Firming Flax Serum. with Manuka Honey which makes for a good antioxidant and humectant and with calendula to soothe stressed skin. Living Nature’s Sheer Indulgence treatments look positively blissful. I absolutely love how they’re personalized because I would definitely love to undergo a luxurious spa treatment that’s tailor made for my individual skin’s needs instead of just another run-of-the-mill session. Plus, Manuka Honey’s in the mix! Nothing could go wrong with Manuka Honey. I would love to try their Manuka Honey facial! I’m a huge fan of NZ manuka honey. I use it occasionally as a facial mask to clear up my breakouts. and I eat it with yogurt or stir it with warm water to soothe the throat. The usage of rose quartz crystals with the mask sounds so amazing too. it uses negative energy to produce a calming effect! It also has echinacea which is great for the immune system. I’ve never used it on my skin but only in teas to boost immunity before I fall sick. All in all, Living Nature would be a brand I would love to try due to its emphasis on local NZ products. I’ve liked the FB page! 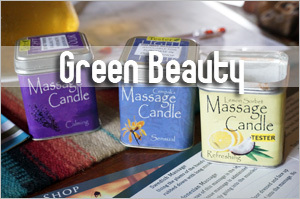 and posted your green beauty starting post on my personal fb page. don’t think you can see it though. Living Nature’s Simply Radiant treatment seems promising. In your review of the Instant Face Brightening Facial Treatment, you mentioned that there is no steaming and extraction, and I don’t go for facials because of the emphasis of extraction and it makes my face red and looks bad after having the facial. Living Nature’s treatments emphasize on healing and massage to improve circulation, compared to normal facials that only extracts the impurities and that’s it. With proper circulation, the inflamed skin will heal itself and any scars or acne will reduce significantly. With daily extraction, it makes the pores loosen and trap more dirt, causing comedones and have to extract again. So I believe in proper cleansing so the skin can “breathe” and I do my own extraction using Oil Cleansing Method which is a gentle process to draw out the surface comedones. I’ve walked past the place a few times but haven’t build up the courage to part with the money for the indulgence. I should go next year after getting my hongbao money and treat my mother to the facial for her birthday present too. I would like to try Sheer Indulgence facial, Rejuvenating one. I haven’ t checked any product containing Manuka Honey yet, but since I’ve red so many great things about it, it is one of the most wanted items on my wish list. I would like to try Illuminating Radiance to lighten my freckles without hurting my skin. I have tried many products but is useless. In actual fact, I would like to try lazer but they said there is side effect like making my skin more sensitive. Quite a big problem. I would love to try illuminance radiance as I have gotten rid of my acne but now I have scarring I would love to heal, and also would love to try something to lighten red around my nose and mouth area. They have a super informative facebook page!!! 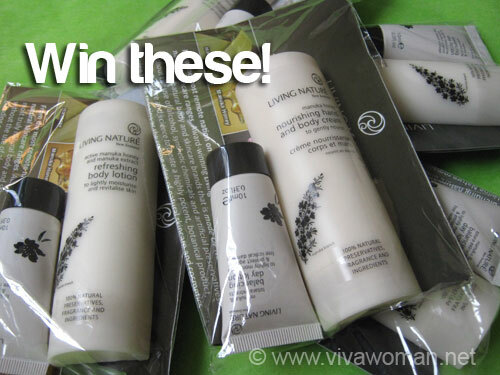 I was overwhelming by these natural goodies that you offer in this giveaway! Reading Living Nature spa menu remembered me the good time I spent in niche spa salon and I just realize all of them are all using natural product in their spa! Probably due to my believe in “Soul, Mind, Wellness, Natural are in one”, so unconsciously I was more willing to spend $$$ on natural spa (“v). I would love to try their ‘The ultimate” for neck care, recently I saw a sign of aging on decotte so I think it needs equal attention as for face. For body treat, I would love to try the “Pure Pleasure” for strengthening immune function of my sensitive skin, “Uplifting delight” for detox & cellulite care and my all-time favorite “Tranquility” for aromatherapy. 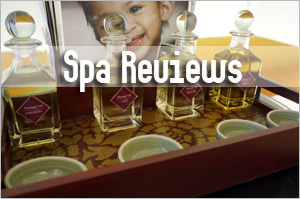 Seem like I have to visit them at least three times but holistic indulgence is price-worthy. It would be the manuka facial. 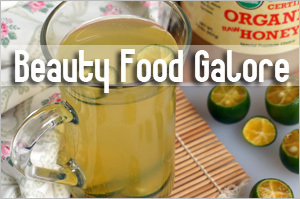 I have not tried anything manuka honey on my face except in the form of food. and the facial is massaged into the face with rose quartz crystals. This treatment is supposed to leave our skin soft, radiant, hydrated looking. I would like to try the Hydrating Toning Gel since I have oily skin. I hope the hydrating effect will improve my skin condition while the it helps to tone and firm my face as well. I want the hand cream. I would like to try out the Instant Face Brightening Facial Treatment due to your good feedback. I want a lightening, brightening facial with all the benefits of a classic treatment captured in a non-bleaching, skin-whitening formulation. A great brightening treatment for my skin for an immediate luminous glow. I am sure this facial is also ideal for a freshly scarred or acne-ravaged skin to minimise the pigmentation often occurring as scar tissue heals. I had like their facebook page & retweet your tweet for this giveaway. I’d love to try the Manuka Honey Facial. I’ve never had a facial of any kind before — never been to a spa or bought a homekit. That would sound great! I would love to try the firming flax serum! In my early 30s, I feel that prevention is better than cure. What way to rejuvenate the deeper dermis then by using serums for age prevention. I am a fan of organic products and it is great to know that it contains beneficial ingredients like Harakeke, rose hip oil and manuka honey. I like that it can firm skin and prevent moisture loss as I have dehydrated skin. I consume teaspoon of manuka honey everyday and I feel it is boosting my immune system. I am sure manuka honey is a good ingredient for the face too. Living Nature is one of my fave organic brand. Their nourishing body bar soap smell beautiful and contain no nasty chemicals. I would love to try other products esp. the firming flax serum for my dehydrated skin. Due to working late nites and frequent travelling, my skin has taken its toll. 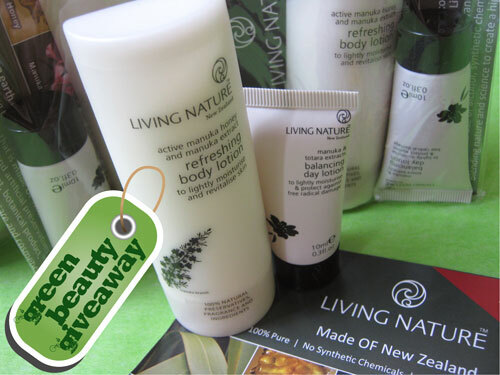 I hope I can get the chance to win a 100% natural skincare treatment from Living nature sheer indulgence facial for my tired skin. I have not tried their treatments before, and I would like to try the Manuka Honey Facial as I really want to turn my dull and lifeless skin into a soft, hydrated, nourished and radiant skin. Simply Radiant offers massage technique which I assume is lymphatic massage to encourage blood circulation and remove toxin. This is something that I would need professional help. I’ve watched the Tanaka Facial Contour video via your website, but still I find it hard to do. I would be perfect to combine it with a Pure Pleasure, a similar treatment but for the body. i would love to try the Living Nature’s Simply Radiant treatment, handling 2 children can really tire one out, letting the toxins build up, causing havoc onto one’s skin, with the Living Nature’s Simply Radiant treatment, it not only help to relax oneself but also to let one feel good about themselves again. I think I’d probably like to try the Sheer Indulgence facial since it’s their signature skincare treatment, and I also know Manuka Honey has good anti-bacterial properties but I’ve never ‘dared’ to buy a bottle because it’s so expensive! 🙁 It’s good they also have an outlet at Parco Marina cos the east is way too far for me. Not using sunscreen around my eye area for all these years has caused fine lines to appear. I am hoping there is a cream that can reverse the aging effects and wear around my eyes. Therefore, I would like to give the Firming Eye Cream a try. The cream is formulated with active manuka honey which is known to nourish the delicate tissue to promote cell regeneration. Harakeke flax is another ingredient in the cream, and it can super hydrate and smooth out fine linesâ€¦something I need to lift the skin around my eye area. The price of the cream is not bad. Btw, I like companies that list out the ingredients they used in their products. Living Nature did a great job in providing information regarding the benefits and sources for the important ingredients they used in their products. I have liked their facebook page and tweeted this giveaway. I’m a fan of Manuka honey and I buy them in dozens, therefore, I would definitely want to try the Sheer Indulgence Facial! I believe in the goodness of Manuka and my family and I have benefited from taking just 1 daily teaspoon of this honey. A Manuka facial would be a real luxurious treat for me. I would like to try “The Classic” Eye Treatment, as I have many fine lines below my eyes. I think the most prominent problem area on my face would be my eyes. First time heard of “natural” nail colour! I would love to try their Manuka Honey facial. I love the effect that Manuka Honey has on the skin. And I would also love to try their Manuka Honey lip balm. It just looks lovely and Im adicted to lip balms. The Radiance Night Oil sounds awesome, like a fairy godmother to sleeping beauty. 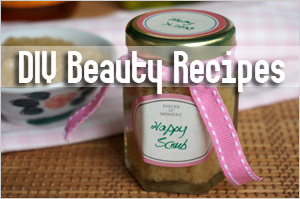 I certainly need some magic to renew and rejuvenate my stressed skin. I would love to find out how the Radiance Night Oil can repair, revitalise, nourish and heal my skin while I sleep! I would love to try the sheer indulgence if I had been in Singapore!!! Manuka honey and the crystal wands sound so delightful…I remember the post you had done on the wands and I believe the same would be used…if so they would be amazing on the pressure points and then, neck treatment sounds so good!!! I am tired of the lines on my neck which have come up recently!!! Living Natureâ€™s Sheer Indulgence treatments look positively blissful. I absolutely love how theyâ€™re personalized because I would definitely love to undergo a luxurious spa treatment thatâ€™s tailor made for my individual skinâ€™s needs instead of just another run-of-the-mill session. Plus, Manuka Honeyâ€™s in the mix! Nothing could go wrong with Manuka Honey. I would like to try the manuka honey. I love honey! It’s very good for the skin. I’ve tried in some of Sesame’s DIY!. 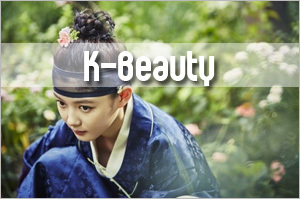 I would also like to try the face cosmetics (foundation, concealer and blush). 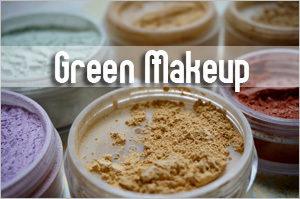 It’s hard to find good quality natural/organic cosmetics! I want to try their signature treatment, the sheer indulgence. The name, sheer indulgence, is really fitting because I want to indulge my skin! 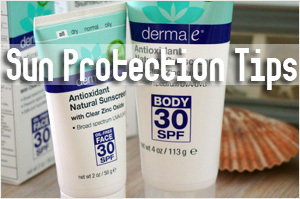 Plus I like it that it’s personalised to my skin needs, especially mine which is always in need of hydration. 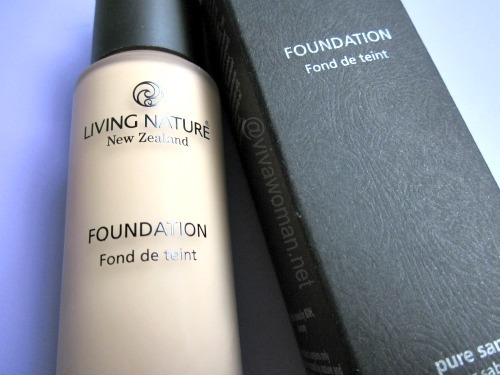 I’ve used the LN wonder gel, the Harakeke toning gel and it worked miracles for my face! It really hydrated my skin then. Since the wonderful experience, am always tempted to use more LN products if only the price is more affordable. The treatment that I’d love to try out is the Natural instant face brightening facial treatment! As I have sensitive skin with freckles and pigmentation problems, this all natural facial with brightening effects seems perfect for me! Iâ€™ve been searching for good quality anti-cellulite oil for years now. I used to use Culpeper House Cellulite Massage Oil for nearly a year about a decade ago, and it was truly amazing. And for a struggling student the RM49.90 for 100 ml bottle was a good buy. I lost nearly 3 inches in each leg (which include exercises) as well as the feeling of â€˜draggingâ€™ heaviness. However this brand is no longer available in Malaysia and Iâ€™m looking for a substitute since I led a very sedentary life with occasional bursts of activities until every recently. Now my legs are as big as tree trunks again. There must be loads of toxins floating around in there! Sigh.. Although Iâ€™m exercising, my legs are still feeling very heavy. I even cycle to work nowadays, and I can feel my legs strain to push the pedals. At night they are a lead weight. That is why I am considering buying two of Living Nature Body Oil. These oils contain some of the essential oils the Culpeper House oil used such as juniper, rosemary and lemon. But they also contain other kinds of essential oils as well since they are created for different purposes. Living Natureâ€™s Body Form Body Oil I believe, is suitable to be use in the morning to remove the excess water and toxin in my legs and improve their circulations. Maybe afterwards pushing the pedals or running up the stairs wonâ€™t be a struggle anymore. Energy Oil however is perfect for nightly use. I know, I knowâ€¦ we are going to sleep soon, so who needs more energy. It is better reserve for morning use, right? But (this is my argument, pardon meâ€¦LOL), this oil has muscle healing properties as well as being anti-microbial and anti-inflammatory. Since our cells repair themselves during our snooze time, wonâ€™t it be better of we aid them with such blends of curative properties for better and faster healing? I certainly hope these oils can help me get rid of my unsightly and very uncomfortable cellulite. I want to try out their Instant Face Brightening Facial Treatment to brighten up my face as it really looks dull without any glowing and radiant feel. I hope this treatment can create miracle on my face. 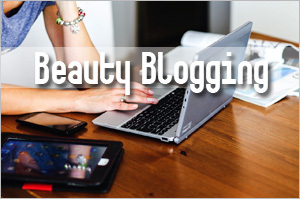 Believe it or not, Living Nature products were my first ever “natural” products. It’s actually the brand that made me decide to try organic/natural products ’cause I got a leaflet from their Eastpoint branch and the info just got me curious. As soon as I got back home, I went to the Living Nature website and started listing products I was keen on trying. After about a week, I bought my first Normal Skin set with a hydrating gel, moisturizer and vitalizing cleanser. Among all of them, I loved the cleanser the most but later on, it proved to be quite expensive for me since I tend to “overuse” it. I don’t know why, haha. The hydrating gel was also interesting ’cause it’s multi-purpose. I even use it when my KP gets out of hand and becomes itchy. When I suffered from acne early this year, I switched back to Living Nature which helped calm my skin and control the oiliness on my forehead. I’ve tried their signature manuka honey facial before and I actually loved it that I treated Hubby to a treatment. I also tried the eye massage which really worked to brighten my eye area. Depending on the therapist, the massage techniques can really be good and very relaxing. Only problem is that once or twice, I had a not-so-experienced therapist and I didn’t feel as rejuvenated after the treatment because they were chit-chatting with me too much. Next, I’m thinking of trying out their body massage. It’s me again. Can guess which treatment I am going to vote for? I would like to try deep cleansing clay mask. It’s one of the few I have seen so far that explicitly states it can be used for acne-prone skin. 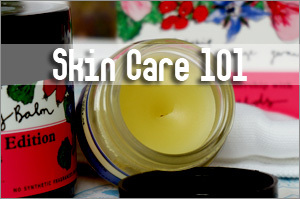 It actually takes into consideration of clogged pores and oily skin. I like the naturalness in Living Nature products!